Born in Nancy in Eastern France, Jaser began her training under Claudot. In Paris, she was apprenticed to several important miniaturists, including Aubry, Regnault and Isabey. 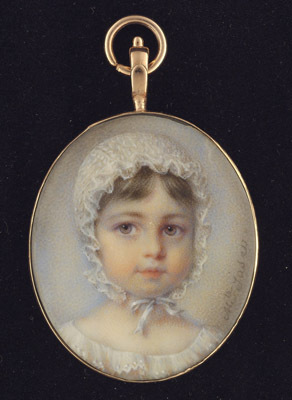 She exhibited at the Salon, obtaining a third class medal in 1835. Her clients included Princess Caroline-Aurelia of Denmark and the Duke of Bordeaux. Her style very much reflects the work of her masters, particularly Isabey and as in this example, she used a soft brushstrokes and a muted palette.